The Pyle Pro PDMIC58 Professional Moving Coil Dynamic Handheld Microphone doesn't have the same quality as a high-end model. The Pyle Pro PDMIC58 Professional Handheld Microphone is a unidirectional microphone that is simple enough for a 6-year to use, yet its quality is good enough for adults to make announcements or record vocals or music. With tough metal construction, included cable and a low price, it will serve most recording purposes well. Amateurs and professionals alike will enjoy using the Pyle Pro PDMIC58 Microphone. It’s a great alternative to the “industry standard” mic, because the sound is comparable to an expensive piece of equipment. It produces a warm sound, without static, and makes low voices sound good. Beginning singers and American Idol wannabes will love feeling like professionals, and bands can use it for practice, or small gigs. True professionals might keep one handy as a backup mic to be used in a pinch. It’s also great for talent contests and loaners – if a “newbie” is careless with it, you won’t have to pay a fortune to replace it. The Pyle Pro PDMIC58 Professional Moving Coil Dynamic Handheld Microphone doesn’t have the same quality as a high-end model. You do have to be very close to it in order for it to pick up your voice or instrument. You can get a good sound only if it’s connected to a preamp. Although you can “make do” with an XLR cable hooked up to your laptop, the sound won’t be very good. The cable is thick, but the XRL connector is hard to remove. And there’s no mic stand. Those who are skeptical of the quality of this low-priced item will be pleasantly surprised. 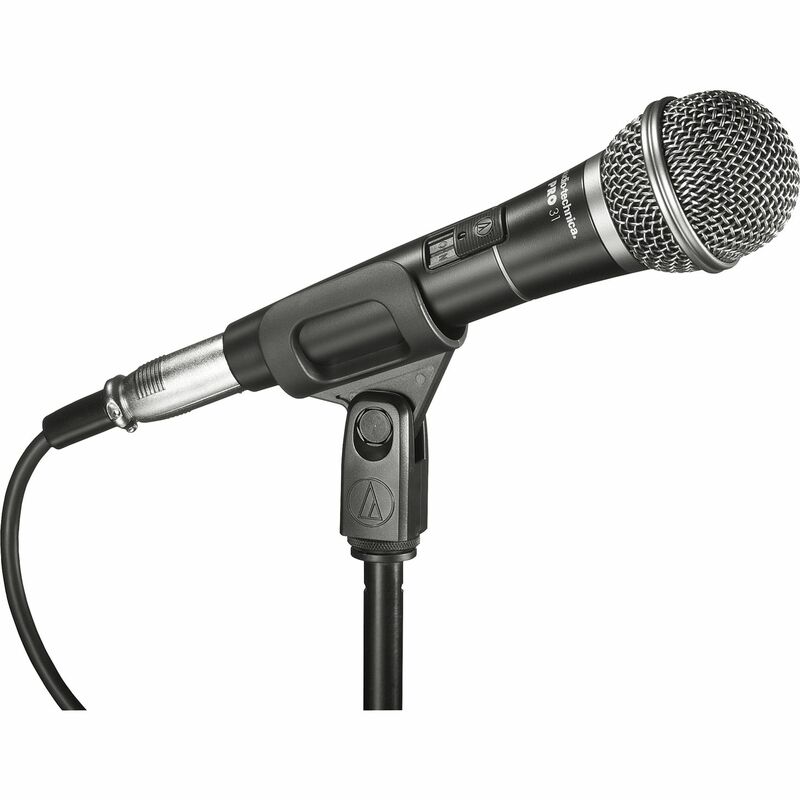 The Pyle Pro PDMIC58 Microphone is a crowd-pleaser for public speakers, Djs, garage bands, and karaoke parties. It can be used in a classroom, outdoor event, or office meeting. At home, it’s great for Skype and podcasts.